for the (heart) of stamping: Button Buddies Class! As soon as I saw this set, I just knew that I had to have a class using it. This is by far the cutest set I've ever seen! I am excited to announce that my BUTTON BUDDIES class is coming at the end of this month! 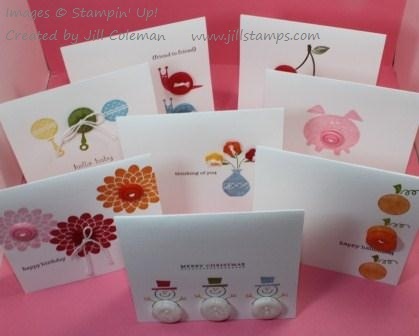 It will include making 8 mini cards, including envelopes. cute, right? 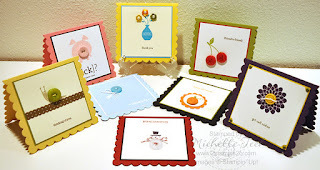 And for every occasion, so it's the perfect class to make some cards for anything you need. Limited Space available, let me know if you're interested ASAP!